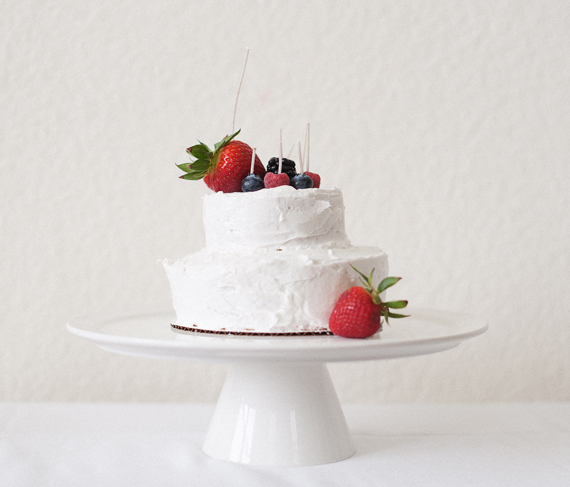 A cake is only as pretty as what is inside (or on top in this case!). 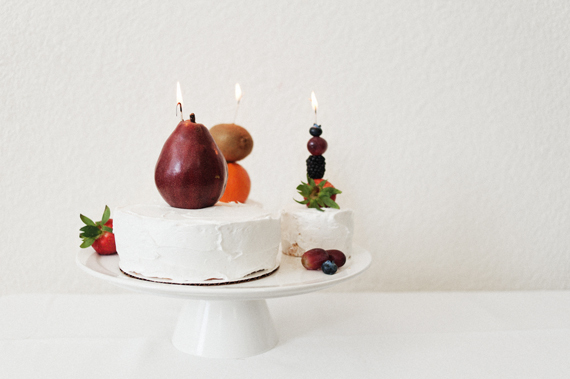 Adorn any type of cake with these simple fruit candles for a simply festive birthday cake. These candles give a natural and classy look, for a memorable birthday touch. To make the assorted fruit candles you will need – fruit (berries and small fruits work great), skewers, candle wicks, and scissors. 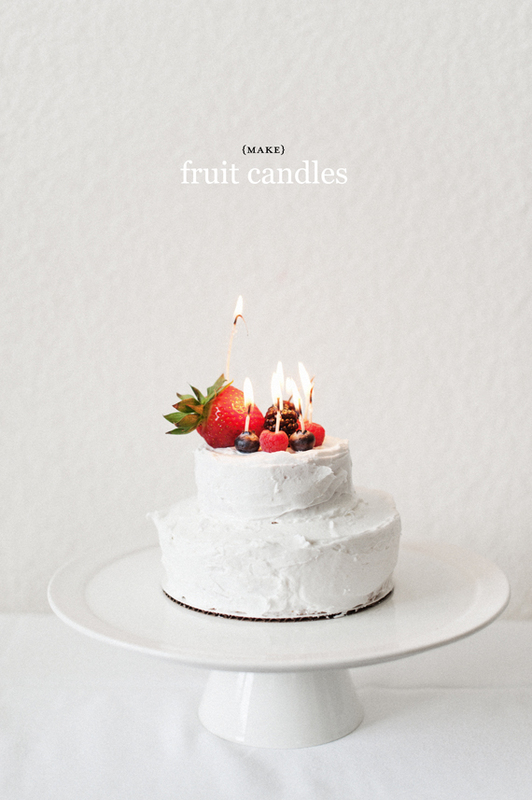 Take a piece of fruit that you want to transform into a temporary candle. Line up a skewer on the bottom or side of the fruit and insert the sharp point through the skin. Push skewer through slowly and carefully until the tip comes out the other side (don’t poke yourself!). Remove the skewer and insert candle wick through the hole in the fruit. At this point you can stack (smaller) fruits onto a single wick but check for stability. Snip off wicks to desired length. Repeat with other fruits if needed. 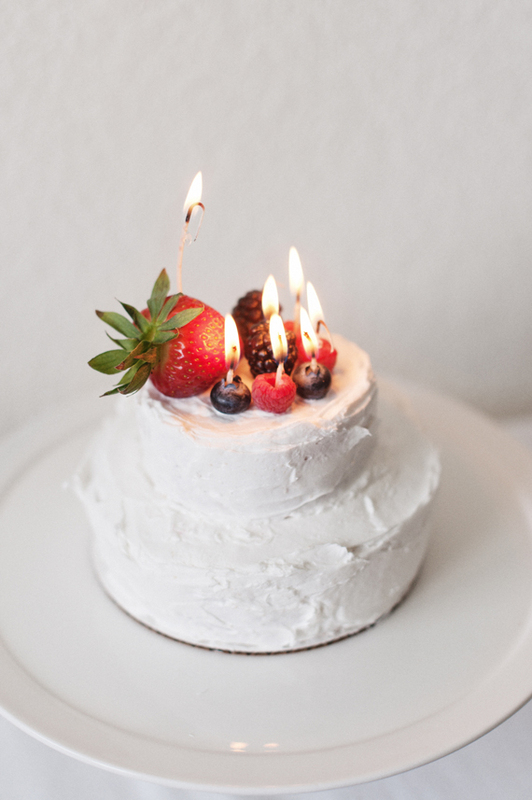 You are ready to place fruit candles on a cake for a simple decoration with a unique added touch. These candles are one-time use only and should be blown out shortly after they are lit. Do not keep them burning!!! This cake is part of our Creative Cakes series. Produced and photographed by Athena Plichta under the creative direction of Victoria Hudgins for A Subtle Revelry. Very cute idea! 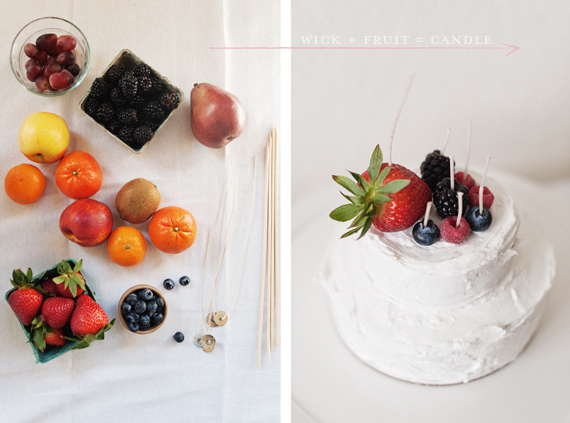 Who doesn’t love cake, fruit and birthday candles? Funny and so simple! Looks gorgeous! Such a lovely delicate cake for every occasion!